New exciting web technologies enable us to do more accessible web sites by doing less . We need to get rid of the dogmas. It’s hard to reach Perfection and when you do, it is often destroyed by others. @ScreenOrigami & @yatil We’ll help! 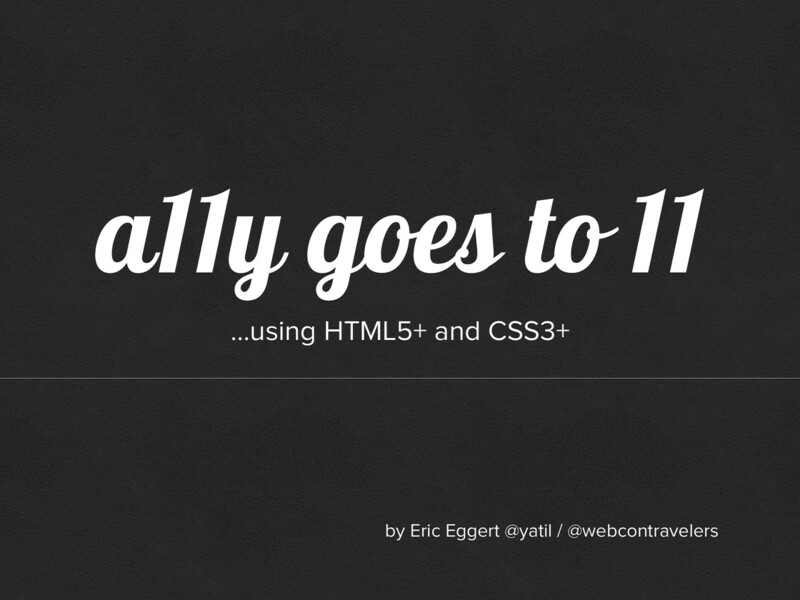 View a11y goes to 11.